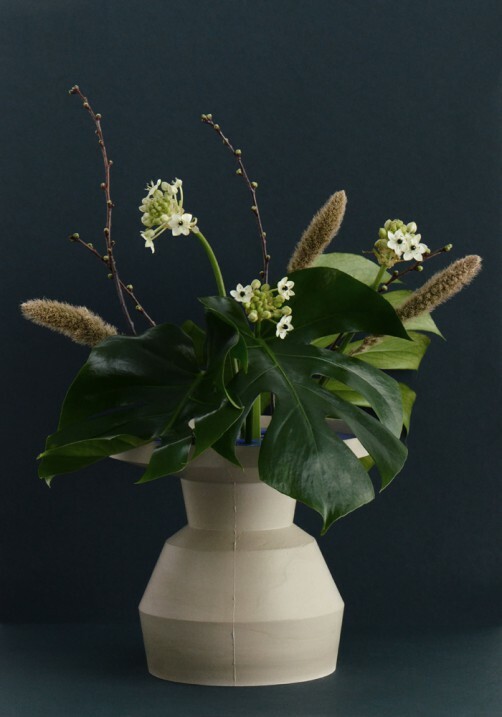 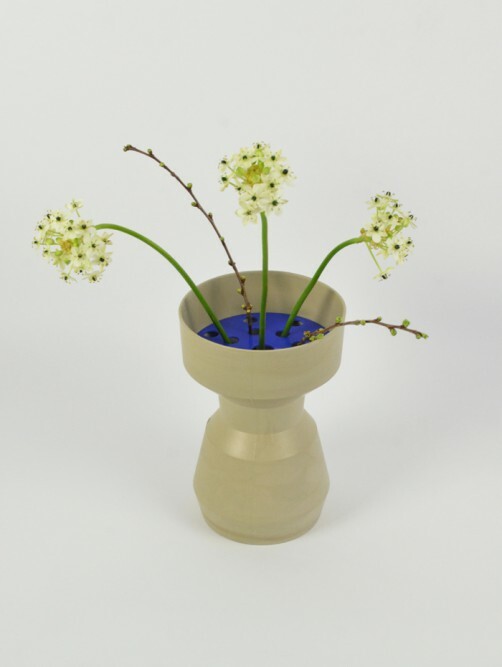 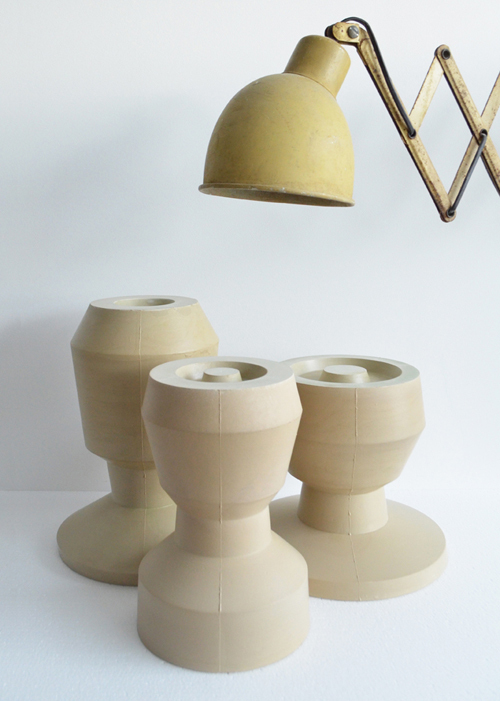 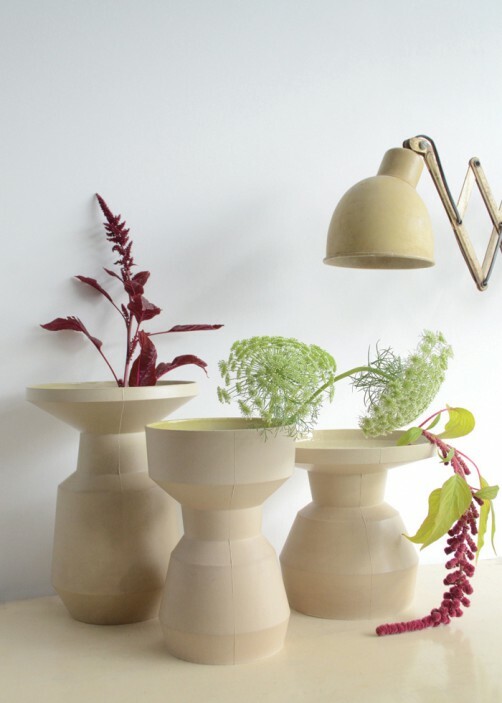 A collection of 3 earthenware slip cast vases in beige, unglazed. 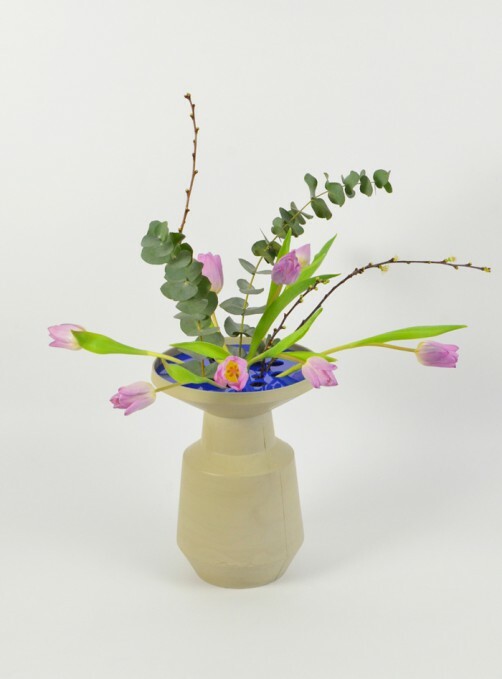 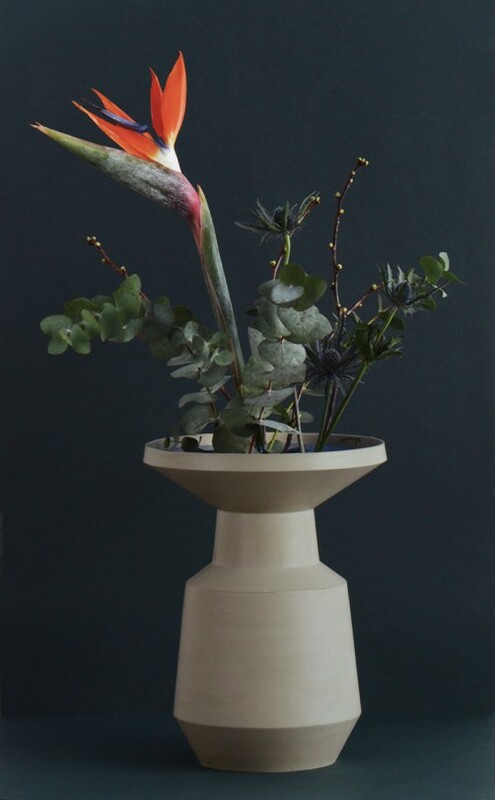 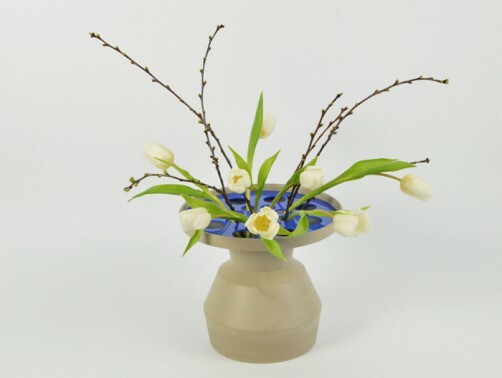 This collection is all about arranging flowers, the ledges in the bottom are there to hold the stems of the flowers in 2 different angels, the grid on top is also made to arrange the flowers in the middle of the vase. 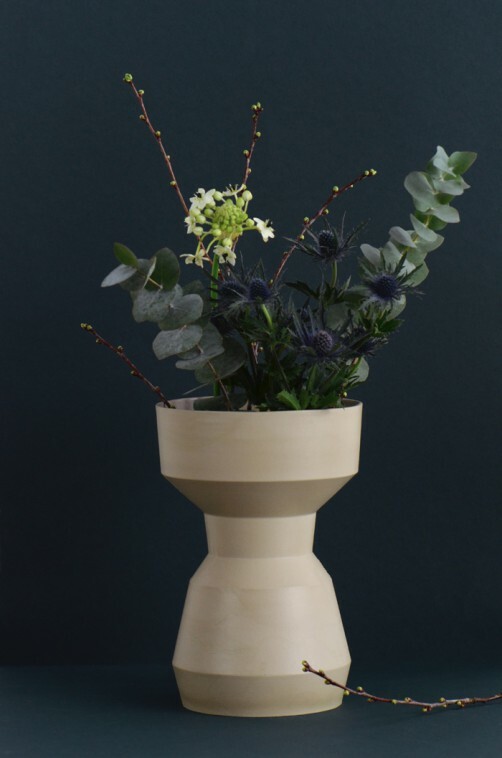 The sharp shapes are derived from turned metal shafts, the industrial funnel on top together with the grid inside finishes the vase.